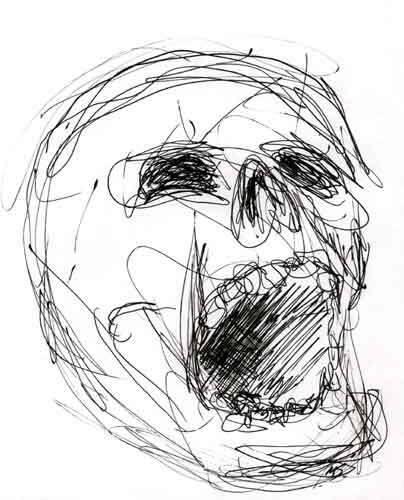 A pen and ink drawing of a human skull titled, Silent Scream by Mark Scribbler. of a human skull. Done on Pentalic Paper for Pens, 2001.